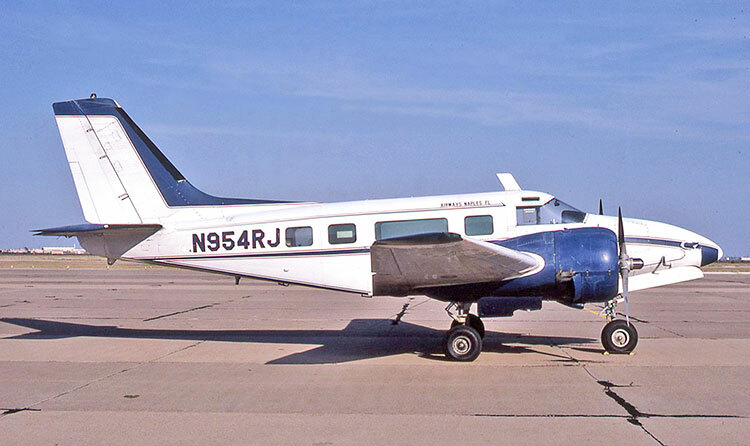 Beech C-45G N954RJ (AF-5) at Midland, Texas in October 1987. This was a PacAero Tradewind conversion, which included a single vertical tailplane and Volpar trigear. The "Royal" of the name of previous owner Royal Airways, Naples, Florida above the windows has been painted over, and the name The Beech Party was on the nose.